Microsoft’s OneDrive app has been updated for iOS that brings three new noticeable changes to the roster. 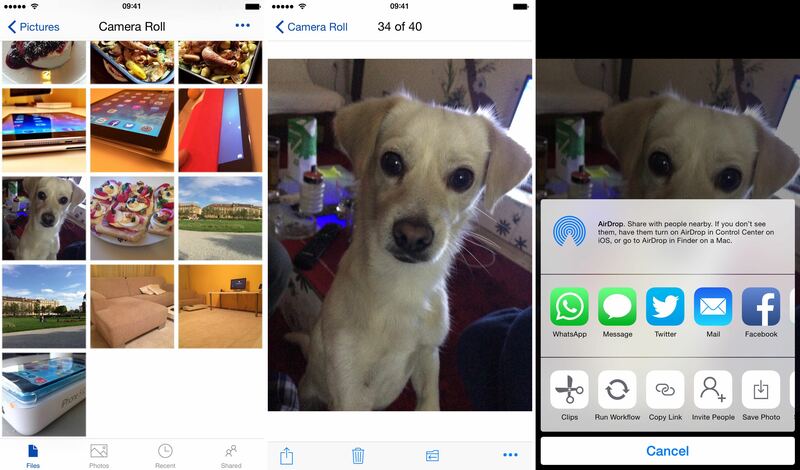 One of the induced changes include the ability to download videos and photos from OneDrive to the Camera Roll. This hiatus feature has been continued again after the app had a major redesign in the prior months. The updated OneDrive app the version number up to 5.5 that also contains support for Single Sign-On and VoiceOver improvements. OneDrive is one of the many cloud based storage apps that aids in storing files on a cloud server. Let’s dive in to see what other changes are part of the update. The download feature has once again made a comeback in OneDrive v5.5. The feature allows users to download and save their photos and videos from the cloud straight to the Camera Roll of their iOS device. The procedure to download photos and videos is very, very simplistic. All you have to do is navigate to the folder of your photos that you want to download and tap the image or video to be downloaded to your Camera Roll in Photos app. Although it does require an Internet connection, so be sure to have one on standby before going ahead. Previously, you needed to sign-in to other Microsoft apps to access OneDrive. However, with this update, Microsoft has cancelled the previous sign-in program and replaced it with a Single Sign-On option. This feature enables users to sign-in to OneDrive only once without the need to be logged in to other Microsoft apps like PowerPoint, Excel or Word. Apple has a well recognized and robust Accessibility feature which is devoted to users with disabilities. Microsoft has taken full advantage of Apple’s Accessibility feature and improved VoiceOver. Hence, OneDrive is now better for hearing-impaired users to interact with items on the display. Apart from this, there also rests an improvement in sharing your photos and videos. The update prior to today showed lack of intuitiveness and native Share Sheet. Now, you can rearrange sharing options to your preferences along with a native Share Sheet linked to Facebook, Twitter and other apps. If you don’t have OneDrive installed, it’s completely free of charge, so you can straightaway go to the App Store and grab it for your iOS device. After the initial download, Microsoft gives you 15 gigabytes of free storage. However, you can unlock another 15 gigabytes by enabling the automatic Camera Roll update option. If it still isn’t worth your data, then you can upgrade to more cloud storage via in-app purchases. The post OneDrive For iOS Updated: Improves VoiceOver, Brings Back File Download, More by Ali Salman appeared first on WCCFtech.